Computers protect data and functionality using a concept of "rings", like concentric walls of a fortress. If a medieval enemy penetrates the outer wall (i.e. ring), they can only harm whatever is located in the space between the outer wall and the next inner wall. If they penetrate the next inner wall they can only harm that space, and so on. 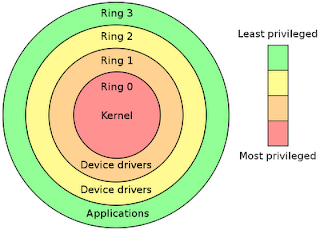 As you can see, the emphasis is starting to shift away from traditional Ring 3 malware towards Ring 0 bootkits and Ring -3 hardware rootkits. With the increase in hardware standards, protocols, and ROM space, a hacker's job is made that much easier (especially considering many hardware manufacturers still aren't taking the threat seriously). Personally, I think it's only a matter of time until we see a 64-bit, worm-propagated, cross-platform, bootloader-aware, encryption-savvy bootkit that resides in persistent, antivirus-unreachable Ring -3 space....oh wait, that's pretty much the Stoned bootkit's ToDo list. "The only secure computer is one that's unplugged, locked in a safe, and buried 20 feet under the ground in a secret location ...and I'm not even too sure about that one." 1. Be paranoid about security. 2. Install, and regularly update, antivirus and antispyware protection. 3. Use a NAT hardware firewall and software firewall. 4. Use a non-IE web browser (less targeted). If Firefox is your browser of choice, there are a lot of security add-ons available - play around to find the best matches for you. 5. Use a non-Windows operating system (less targeted). 6. Disable floppy and CD-ROM booting and password-protect your BIOS. 7. 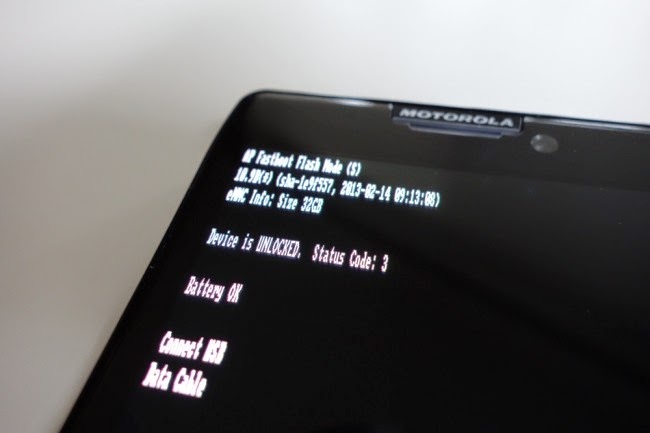 If multi-booting on the same machine, avoid bootloaders and instead install each operating system on its own drive (with its own MBR) and switch between them using the BIOS boot device selector. 8. Buy a motherboard with BIOS protection (e.g. Intel Trusted Execution Technology or Phoenix TrustedCore). Update (Feb 2010): The new rootkit nasty on the block is Tdss rootkit...scary stuff!